Safeguarding Vulnerable Adults is a course for anyone who works with, helps, or supports adults at risk. It covers the signs of abuse and explains what to do if you suspect something is happening to a vulnerable adult. It's all about sensitive handling and timely intervention. Safeguarding Of Vulnerable Adults (SOVA) is a training programme about protecting vulnerable adults and keeping them safe from harm. It's about recognising the signs of abuse and knowing what to do. Safeguarding is not something that is done in seclusion, and this training highlights the importance of all the relevant services working together in a 'partnership of care'. It also highlights the importance of the individual - a 'person-centred' approach. This training explains the seven major forms of abuse and gives step-by-step guidance to deal with abuse; including raising an alert, making a referral and what to include in a written report. It's essential to act quickly if you think abuse may be happening - the quicker it's spotted, the quicker something can be done about it. Working with children? You may also be interested in our Safeguarding Children Training. The Safeguarding Vulnerable Adults (SOVA) Training course is broken down into 3 sections. 1) What is safeguarding and who needs it? Safeguarding is about improving a person's welfare and keeping them safe from harm. In this section we ask WHO is at risk? 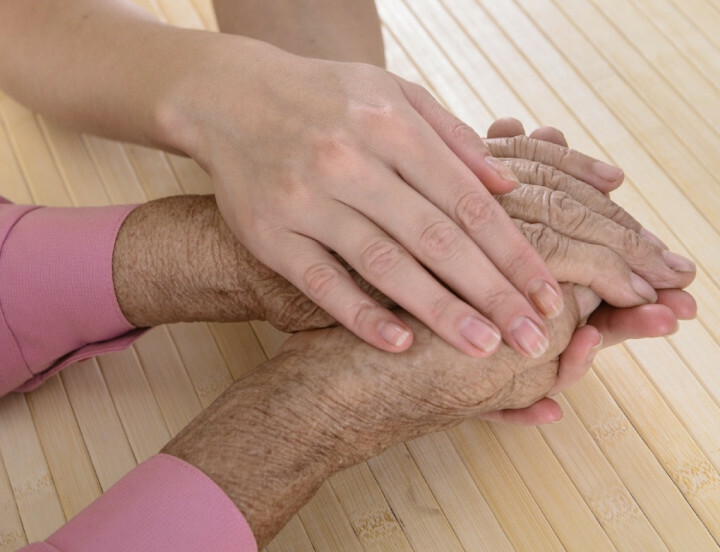 We look at the legal framework, the principles of Safeguarding and The Mental Capacity Act. We also look at what should be included in a safeguarding policy. This section looks at what constitutes abuse. It looks at the tell-tale signs that abuse might be happening, so you know what to look out for. Dealing with abuse and reporting abuse can be upsetting and should be handled sensitively. It's important to ACT and it's crucial to act QUICKLY. In this section we give step by step guidance explaining what to do if you think abuse might be taking place or if someone makes a disclosure to you. We look at raising an alert, making a referral and what should be included in a written report. This Safeguarding Vulnerable Adults Training course concludes with a 20 question multiple choice test with a printable certificate. In addition, brief in-course questionnaires guide the user through the sections of the training and are designed to reinforce learning and ensure maximum user engagement throughout. Your SOVA Training Certificate will include your name, company name (if applicable), name of course taken, pass percentage, date of completion, expiry date and stamps of approval or accreditations by recognised authorities. Based on 248 real user reviews. The first section seemed overlong. The test seemed to focus on the last section, which is good in that it is fresh in your mind, but can make the other sections feel of less value. Thought it was interesting had some good points to think about ! a lot of information and helped with the summary. Very good. Read our full reviews for Safeguarding Vulnerable Adults (SOVA) Training. The Care Act 2014 means that local councils have to set up a Safeguarding Adults Board in their area. This must include the local council, the NHS and the Police as well as other local services. They must work together to make policies and plans to protect adults at risk in their area. The Mental Capacity Act 2005: The primary purpose of this Act is to provide a legal framework for acting and making decisions on behalf of adults who lack the capacity to make decisions for themselves. The Equality Act 2010: This Act ensures equal treatment of everyone regardless of their protected characteristics, which include age and disability. The Human Rights Act 1998: This Act contains a list of 16 rights which all people in the UK have. It places a legal duty on public authorities to respect and protect our human rights in everything they do.